Our Relaxation Tea is harmonious in every sense of the word. It is the answer to the fast-paced society we live in, a combination of Green Honeybush and Rooibos Tea capable of balancing the mind, body and spirit. To this Tea, we add fennel, aniseed, camomile flowers and safflowers. It is blended to perfection, living up to its name with every sip. Relaxation Tea can ease tension on both spiritual and scientific levels. The inclusion of Camomile Tea, in particular, enables this Herbal Tea to combat insomnia and sleeping disorders. Furthermore, Rooibos Tea can lower blood pressure during times of stress, while also offering a multitude of other health benefits including reduced symptoms of allergies and improved skin. Ultimately, our Relaxation Tea touches our core being in more ways than one. For that reason, it is one of our most popular Herbal Teas. And when it comes to holistic healing, particularly the belief systems of Indian Ayurvedic Medicine, our Relaxation Tea has a lot more to offer. According to the 5,000-year-old practice of Ayurveda (“ayur” meaning “knowledge” and “veda” meaning “life”, combined to mean: “the knowledge of life”), one must first understand that the mind and body are inextricably connected, and second, that the mind has the most powerful capacity to heal and transform the body. These principles, applied to life in a variety of ways, including through the use of many of the ingredients found in this Tea - can prevent disease before its manifestation. But how exactly? Food and lifestyle routines are an integral part of Ayurveda. They are the basis from which one can balance their “doshas”, which are the energies that make up every individual and work together to perform different physiological functions in the body. There are three Doshas in the body: the “Vata” dosha, the “Pitta” dosha and the “Kapha” dosha. The Vata dosha is the energy that controls bodily functions and motion, including blood circulation, breathing, blinking and the heartbeat. The Pitta dosha is the energy that controls the body’s metabolic systems, including digestion, absorption, nutrition and the body’s temperature. Finally, the Kapha dosha is the energy that controls growth in the body. 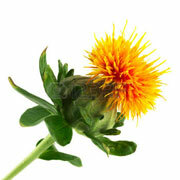 It also supplies water to all the body parts, moisturises the skin and maintains the immune system. By including specially designed Ayurveda Teas to your diet, or Teas such as Relaxation Tea, one can balance these doshas, allowing space for spiritual harmony. The fennel in Relaxation Tea can balance both the Vata and Pitta doshas, a great start when first beginning your journey into the world of Ayurveda. This means that holistically speaking, Relaxation Tea can improve cardiovascular health and boost the metabolism. But how about scientifically speaking? Read our Health Benefits section below and discover the magnificent potential of Relaxation Tea. Ingredients: Loose Leaf Rooibos Tea, Loose Leaf Honeybush Tea, Aniseed, Camomile Flowers, Fennel and Safflower Petals. How to Serve: Add honey for extra sweetness. Alternatively, serve as it is. Tasting Notes: Relaxation Tea is sweet-smelling and surprisingly delicate in flavour. It offers earthy and slightly herbaceous tastes with defined notes of liquorice and floral undertones brought out from the addition of Camomile. Colour in Cup: Vibrant orange liquor, light in tone. Health Benefits: Regarding the weight loss ability of Rooibos Tea, Ernest du Toit, a spokesperson for the South Africa Rooibos Council, said: “Rooibos Tea contains no fat or carbohydrates and its weight-loss properties further extend to inhibiting fat-stage hormones within the body. Rooibos’ unique bioflavonoid, aspalathin, helps to reduce stress hormones that trigger hunger and fat storage, typically associated with high blood pressure, heart disease, metabolic syndrome, insulin resistance and type-2 diabetes. In a nutshell, Rooibos Tea can prevent the body from storing and even forming new fat cells”. But the metabolism-boosting properties of Relaxation Tea are not just limited to its inclusion of Rooibos Tea leaves. Fennel likewise has the ability to boost the metabolism, helping the body to burn fat quicker and more effectively.